Amazon Just revealed the specification and price of its brand new smartphone — 10.or E (Tenor E) — of digital Era. The Brand new Tenor (10.or) smartphone has been designed by keeping an eye on the interest of potential consumers and different purpose of usage of all. It might be going to be loved by iPhone lovers, which could be felt by teaser video launched and this makes you feel the eternity by its gorgeous design. 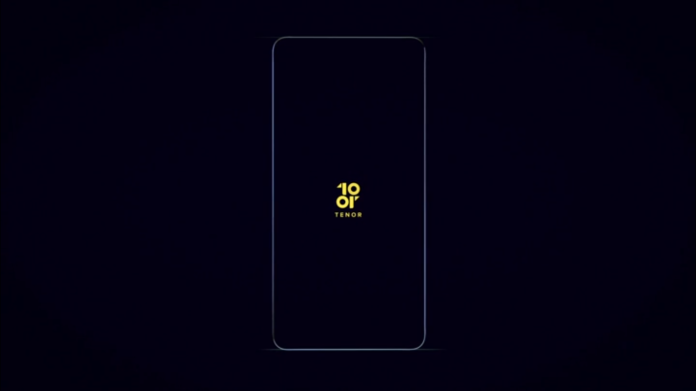 Today, Amazon has announced the most awaiting smartphone of Tenor (10.or) is 10.or E, which is ready to make their remarkable footprints in India market. The Tenor branded smartphones will be sold exclusively through Amazon India. According to the Amazon India, the smartphone 10.or E comes with metal body with a 2.5D curved glass on the front. The most lovable things which can be found on the website are the launching quotes, “Created by us. Defined by you”which are not explainable like eternal feelings. The 10.or E comes with a 5.5″ Full HD touchscreen display with 1920 X 1080 pixels to maximize your viewing experience and its Corning Gorilla Glass 3 makes it scratch resistant. The 10.or E is powered by the speedy Qualcomm Snapdragon 430 octa-core processor with 2 GB/3 GB of RAM. This amazing smartphone packs with 16 GB/32 GB of internal storage that can be expanded with MicroSD card up to 128GB. The 10.or E runs latest Android version 7.1.2 Nougat OS with Google Assistant and regular security updates. The company also reveals that this smartphone is available for the upgrade to the next version of Android OS 8.0 Oreo. The 10.or E having a most powerful 4000mAh non-removable high-density lithium polymer battery. The 10.or E packs a 13-megapixel primary camera with CMOS sensor and LED flash and a 5-megapixel front camera for selfies. The 10.or E is a dual SIM with 4G support smartphone with VoLTE support so you can switch basis your use. Connectivity options include Wi-Fi and Bluetooth. Sensors on the phone include the Proximity sensor. You find beauty no matter what time of the day it is. The 10.orE comes with front and back flash for better pictures under any lighting condition. The new smartphone comes with a various color such as Aim Gold in keeping with your quest for improvement, and Beyond Black for those who challenge ordinary. The 10.or E supports fingerprint sensor that unlocks your phone in just 0.2 sec. Actually, it will unlock in 0.2 secs only when the screen is on otherwise it will unlock in 0.8 secs when the screen is off. Amazon also reveals the price of the most awaiting smartphone 10.orE are as 7999 and 8999 of 2 GB + 16 GB and 3 GB + 32 GB variants on Amazon India.